Here is a guest commentary that examines questions some have raised about sacraments conferred by former Cardinal Theodore E. McCarrick during his 60 years of ministry as priest, bishop and archbishop. Pope Francis laicized him in February. 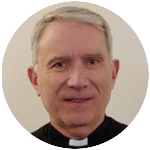 Father Comandini is managing editor of The Catholic Spirit, newspaper of the Diocese of Metuchen, New Jersey. He holds a doctorate in theology from the Pontifical Gregorian University in Rome. For all such people who received sacraments from priests or bishops who were laicized, apostasized (gone over to another faith) or embraced a schismatic faith, such as the Polish National Catholic Church, take comfort and know that you do not need to be re-baptized, re-confirmed, re-ordained or exchange your marriage promises again. These very questions were addressed by the Church as early as the third century when a heretical group called into question the validity of sacraments, administered by priests and bishops who had been “traitors,” a name given to clerics who surrendered the Christian Scriptures to civil leaders in anti-Christian territories as a sign of impunity. Often, “ex opere operato” is misunderstood to mean that sacraments work automatically, independently of the faith of the recipient. To receive sacraments fruitfully, the recipient must have an openness, a desire to receive what the sacrament offers, all of which is presupposed by faith (except for children under the age of reason, as in the case of infant baptism, in which case the parents’ faith speaks for the child). To recapitulate, “ex opere operato” holds that the efficacy of the sacrament is a consequence, not of the moral standing of a priest or bishop, but rather of Christ himself who established each sacrament. The priest or minister acts “in persona Christi” (“in the person of Christ”), even if in a state of mortal sin. Therefore, such a sacrament would be valid, and the grace efficacious. The principle of “ex opere operato” affirms that while a proper disposition is necessary to exercise the efficacious grace in the sacraments, it is not the cause of the sufficient grace. Are the sacraments confected or administered by Theodore McCarrick, when he was a priest, bishop, archbishop or cardinal valid? Yes. Were they licit (done according to the laws of the Church)? Yes. Were they fruitful? Yes, provided that the recipient was properly disposed.